that I shared over at Blue Cricket Design. Hope you enjoy it...we sure did. Nothing is more magical than a Harry Potter party. This party theme is perfect for your older Witch or Wizard. I had a lot of fun throwing our 8 year-old this Wizarding themed birthday party. It was by far the most fun party I have thrown. The decorations were burgundy and gold for the Gryffindor House, with a little bit of black thrown in. There was definitely magic in the air between spells class, magical creatures class, potions class, broom-flying instruction and then a trip to Honeyduke's. Of course the whole thing started off with this very special invite. On party day we had everything set up to welcome our Wizards. Once they had their robes and wands, it was time for spell class. 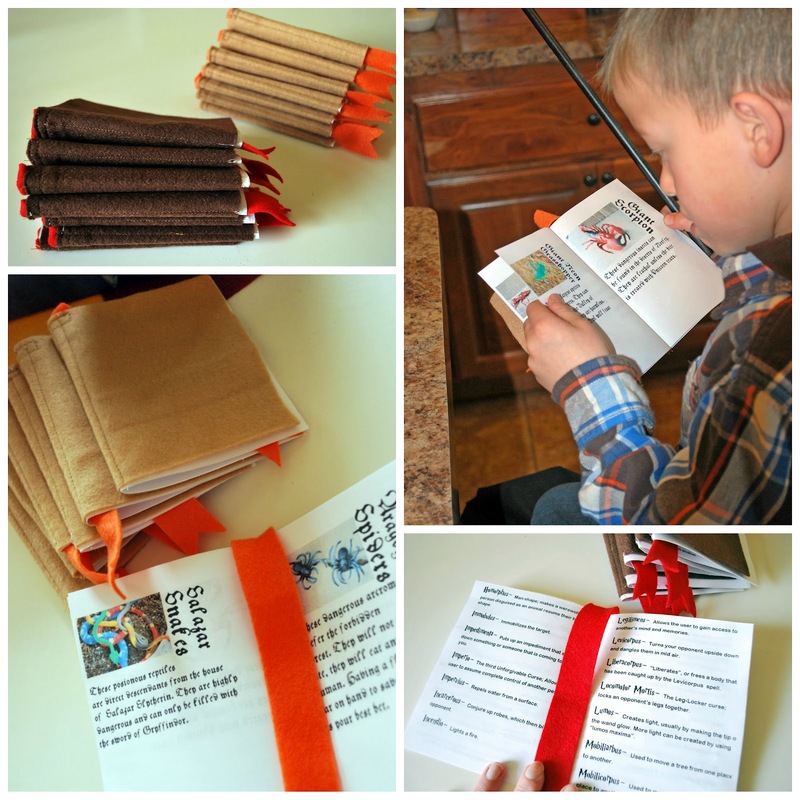 Each wizard got his very own spell book and a magical creatures book. They learned some important spells. Then we went through the magical creatures book in order to prepare for a magical creatures hunt. 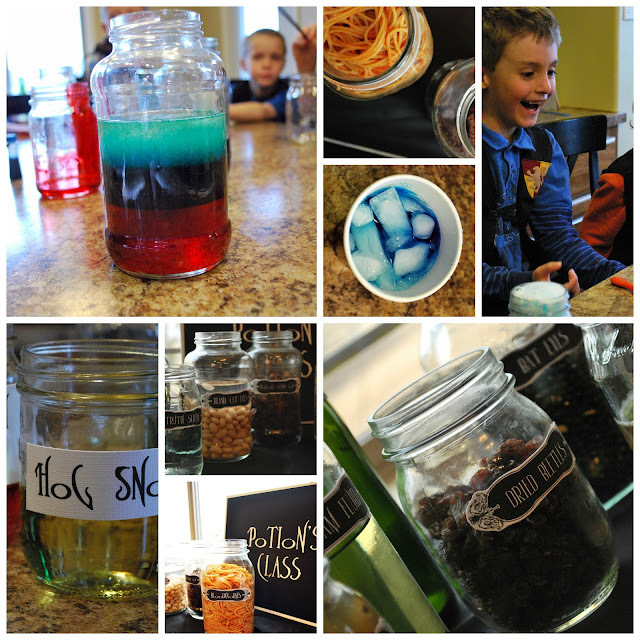 One of the funnest parts of the party was potions class. Just looking and smelling the bottles of disgusting ingredients was a hit. Labels were downloaded from HERE. I ended up doing a bit of my own interpretation of the different ingredients. My motto-think outside the box and use your imagination! 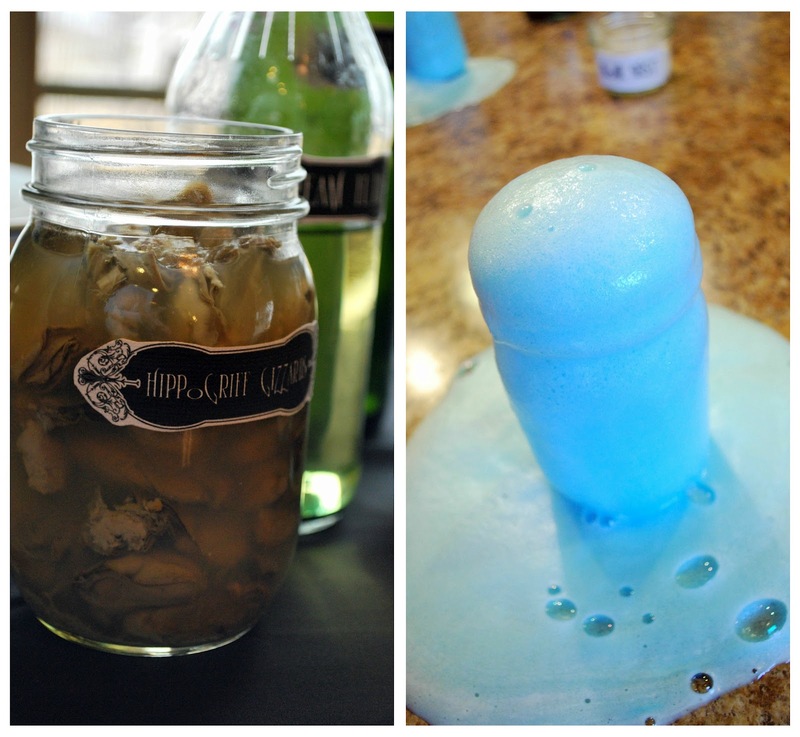 In potions class we had three different potions that we whipped up. The blue fuzzy potion was a mixture of Unicorn Tears, Bone Dust, Worm Juice, and a little water. AKA vinegar, baking soda, and dish detergent. This was probably the most popular potion made. After a good time in potions class we headed to Honeyduke's for some famous Harry Potter treats. there were even Cauldron Cakes. This little cupcake was my answer to a birthday cake. Individual and fabulously unique cupcakes are almost as good as a huge elaborate cake...plus there is less left over! After getting all of their wizard training, each guest was officially ready to be a wizard. They left armed with books and wands in tow and belly's full of magical treats, flying home on their very own Firebolt broom. If you have a Harry Potter enthusiast in your midst, a magical wizard party will definitely be a hit. 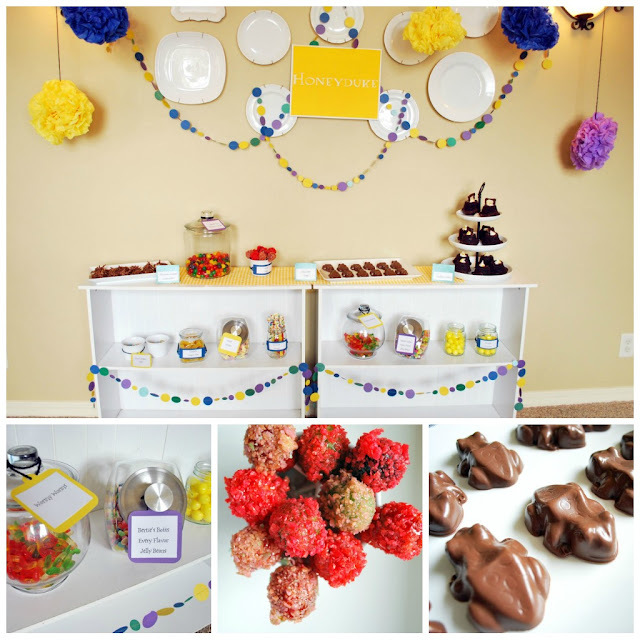 Hope you enjoy all the fun I had in creating this party and that it gives you some inspiration! Seriously LOVE your talent and all the fun of this party. My son is also turning 8 this year but wants a ninjago party. Trying for find some creative and fun party ideas. 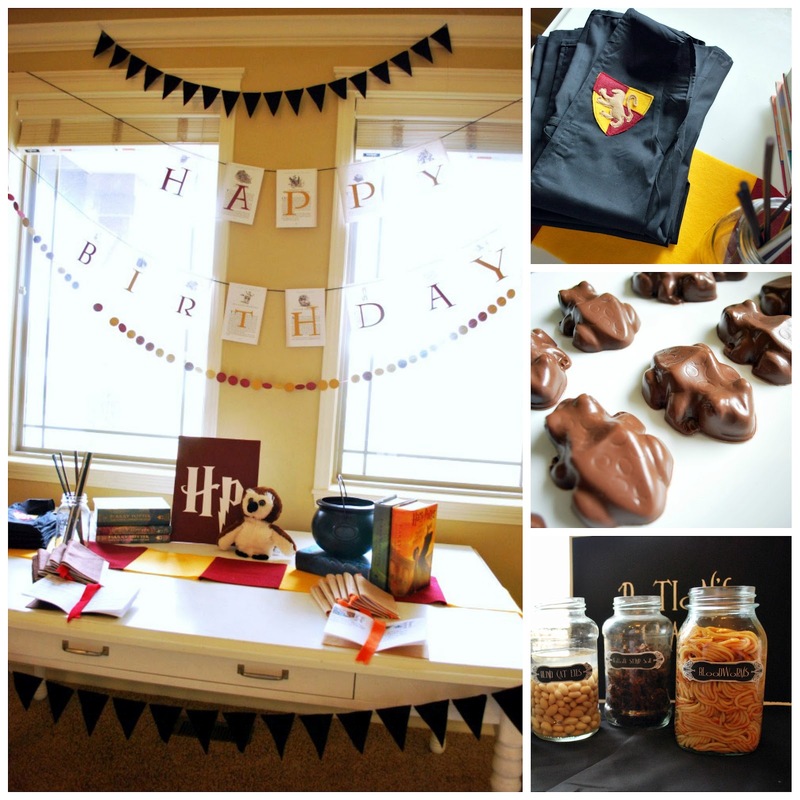 However I hope a Harry Potter party is in our future one day! What a talented, over the top Harry Potter celebration! Excellent job!! 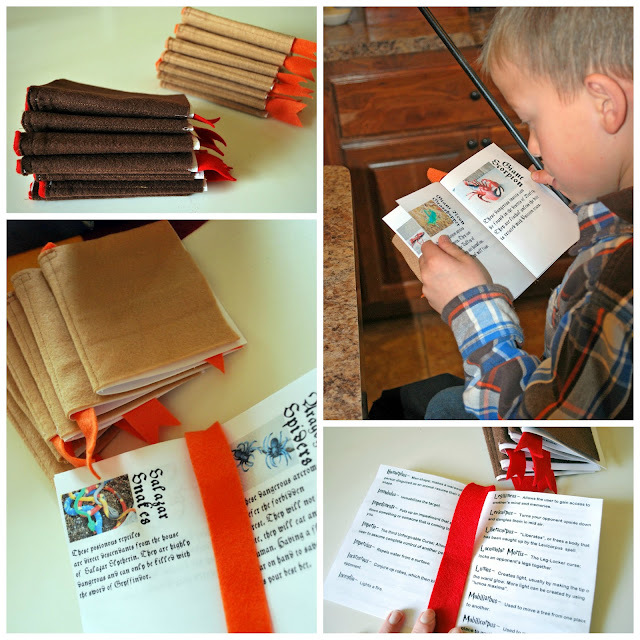 This is super cute and creative! I love it! Our oldest has just started reading Harry Potter. I think she's going to want a HP birthday. I just saw your Harry Potter party! So cute! I made this for a movie marathon, so no special games or so, but just some cool stuff. Besides this, I love your blog!